I went into First Kill genuinely excited. Granted I was a little skeptical because I hadn’t really heard too much about the film and... well... Hayden Christensen should probably make everyone skeptical. However I am sucker for a solid action flick and I was hoping First Kill would be able to scratch that itch. The film starts off with a few rocky and disjointed scenes. 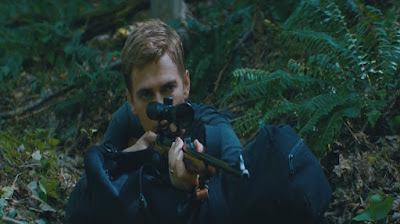 Some trouble with a bully at school leads Will (Hayden Christensen) to take his 11 year old son Danny (newcomer Ty Shelton) and his wife Laura (Megan Leonard) to his hometown for a father and son bonding/hunting trip, like his father did when he was young. After a brief shooting lesson where Will really does not teach Danny anything about shooting, they head out for their hunt and that is where the trouble begins. Will and Danny quickly find themselves tangled in a web of corrupt cops and small town criminals. Some convoluted logic and questionable decision making on Will’s part leads to Danny getting kidnapped by Levi (Gethin Anthony). Will decides he must go out on his own and pull out all of the stops to try and get his son back. Bruce Willis plays Howell, the town’s Sheriff, who questions Will’s involvement and is determined to straighten things out. Director Steven C. Miller (Extraction, Marauders) tries to keep viewers engaged with some sprinkled in gunfights, an ATV chase scene through wooded back roads, and a few generic plot twists and turns. None of these twists are as big as the one where Will goes from Wall Street stockbroker to action hero in the blink of an eye, which just further adds to the ridiculousness of the movie. Bruce Willis gives a less than stellar performance and no one in the cast truly stands out. This is Miller's third time working with Willis and I hoped this established relationship would have translated to a more powerful presence on screen. 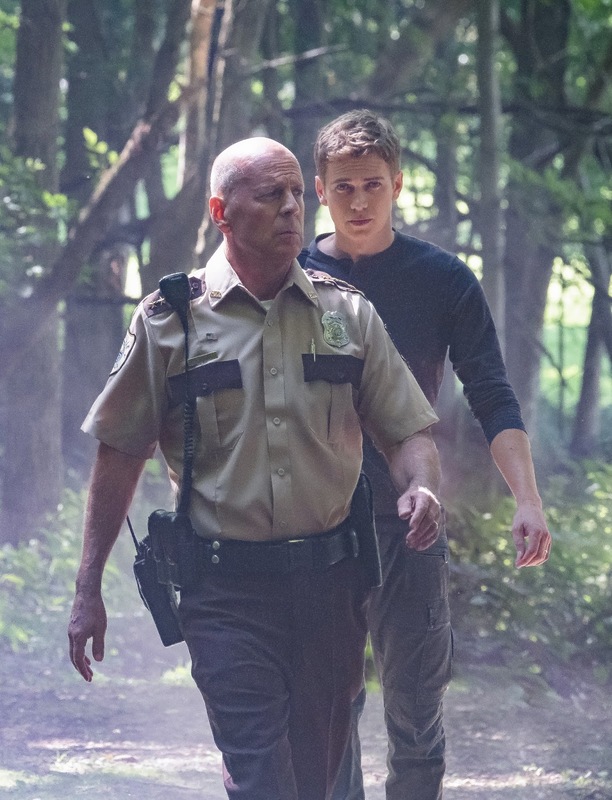 Bruce Willis and Hayden Christensen are clearly the headliners for the film and the biggest draws, but a portion focuses on the unusual relationship that forms between Danny and his kidnapper. In some sense, the bonding that Will wanted to experience with his son takes place, without Will being involved. First Kill isn’t terrible and I have seen far worse films. However it is a formulaic and mediocre action film at best. It certainly lacks excitement and its biggest crime might be how little Bruce Willis we get and how unsatisfying he is when we do get him. Save your money, wait for Redbox, or even better – just rent Homefront and watch that instead.